Put on your party hat because these pigs have a plan, and it’s a plan filled with big, pig fun. This Pre-Level 1 Ready-to-Read is perfect for beginning readers who like a side of silly with their stories! 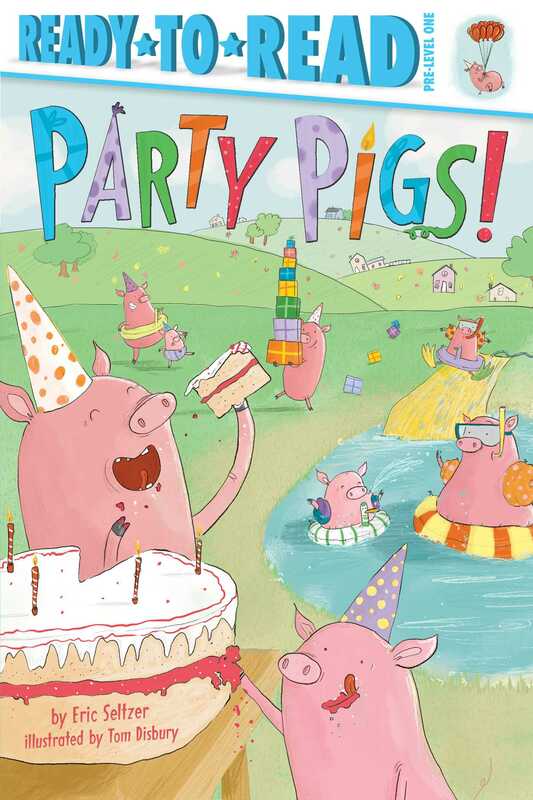 In this sweet, silly rhymed story a pack of adventurous pigs throws a big, pig party! Tom Disbury has written and illustrated a number of children’s books. When he’s not drawing, he likes to watch as many movies as humanly possible, drink coffee, and create amazing sandwiches. Tom lives in Rugby with his wife, son, and two dogs, Wilma and Fred. Book Cover Image (jpg): Party Pigs!